Coffee beans packed in a protective atmosphere using nitrogen which further reduces the possibility of oxidation. 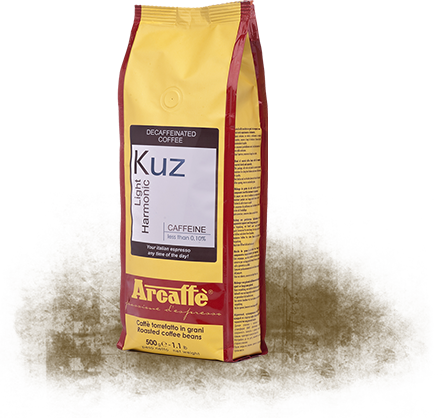 KUZ is an excellent blend of 100% arabica decaffeinated coffee which offers the pleasure of a delicate yet mild and balanced coffee. It is ideal for coffee lovers who don’t want to give up their coffee break at any time of day. Its aroma contains the sweet notes of hazelnut and chestnut, which gradually fade to make way for a pleasing and persistent aftertaste of vanilla and dried fruit.